Mary Margaret Gorman, 70, of Aloha, Oregon passed away at home on the morning of Tuesday, February 19th; nearly 5 months after being diagnosed with cancer. Mary was comforted in her final hours by the care and presence of her daughters, Nicole Spiegel and Lisa Morris, and the visits of many close friends and family members. Mary was born in Bismarck, North Dakota on October 20th, 1948; the third child of Lucille (Leuwer) and Paul Gorman. Siblings include Edward, Jean, James, Kevin, and Michael. Mary lived in Bismarck until the age of 9 where she particularly cherished the loving care and attention of her grandmother, Emma, and aunt, Bernice “Bece” Leuwer. Mary’s beloved memories from that time include ice skating, choke cherry jelly, and ice cream cones snuck to her on hot summer nights by Grandma Emma and Aunt Bece. Mary held close the memories of family and cousins in North Dakota when the Gorman family moved to the West Coast in 1957. Ed remembers the closeness of the older three siblings as they endured the harsh cold of North Dakota winters and the challenges of a cross-country move together. After moving to Portland, Mary attended St. Rose, St. Cecilia, and Holy Cross Grade Schools and North Catholic High School where she was known for her joyful and infectious personality, independent spirit, and many changes in hair color. Mary possessed a sharp intellect and maintained a love of learning throughout her life that was nurtured by her early Catholic education. Good friends and classmates from North Catholic, Mike Mathis and Mike Albrich, noted that Mary’s humor and intelligence remained undiminished by her illness. 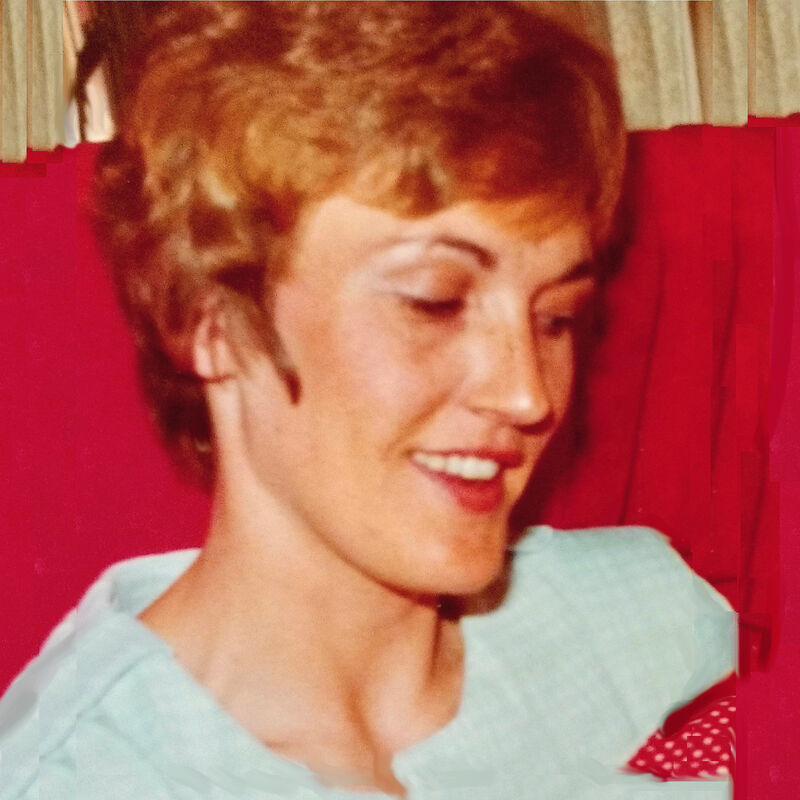 Graduating in 1966, Mary lived with close friends Judy Engels (McGrath) and later Thea Sanchez (Wade) in Portland; both remained close friends throughout Mary’s life and provided particular comfort and support to Mary during her illness. Mary later married and moved to Honolulu, Hawaii as part of her husband’s military service. Mary’s time in Hawaii greatly impacted her outlook on life; reinforcing her curiosity about the world and her lifelong embrace of equality and diversity. Mary thrived as a military wife and developed many close friendships in Hawaii; especially with Nancy Stanker. Mary and Nancy remained close for the rest of her life and shared many memorable vacations together with their families. Mary dearly loved Nancy’s son, Peter, and daughter, Anjuli. Mary particularly enjoyed Nancy’s visits and care in the last months of her life; Nancy’s steadiness and care were comforting during so much uncertainty. Daughters, Nicole and Lisa, were born while the family was stationed in Honolulu and San Diego. Friend, Thea Sanchez, recalls that while Mary was “very pregnant with Nicole”, she helped her move her husband’s clock shop; epitomizing Mary’s inexhaustible willingness to help friends and family with any and all “scut work” that needed doing. Mary and family returned to Oregon in the late 1970s, living in Central Point for several years. In southern Oregon, Mary worked at Rogue Valley Medical Center and became lifelong friends with neighbor, Bobbie Bartyzal. Bobbie’s family quickly became part of Mary’s large “calabash family”. Bobbie recalls “Mary was a straight shooter and could play a mean game of bridge”. Bobbie and her daughter, Jeri, both provided great spiritual comfort to Mary in the last months of her life. Returning to Portland in 1980 to care for her ailing father, Mary and family moved in across the street from her sister, Jean, brother-in-law, Michael, nephew, Lee, and niece, Kate. Mary returned to work at Kaiser Permanente at the Bess Kaiser facility on Greeley Avenue and was divorced in 1990. Mary lived with and cared for her mother, Lucille, for the last 20 years of her life and the relationship between mother and daughter was a profound source of love and joy to Mary. Best friends and close companions, Mary and Lucy were fierce Scrabble and Jeopardy players and shared a love of reading that kept their local libraries busy. Lucy’s passing in 2012 was a profound loss to Mary and she looked forward to being reunited with her mother in death. Mary worked for Kaiser for more than 30 years and took great pride in providing kind, caring, and excellent service to Kaiser members in multiple different capacities. Mary created a wonderful work family at Kaiser, particularly in David Pennington, with whom Mary developed a cherished friendship that she described as “kismet”. Always available to help with a project, Mary and David spent many hours together restoring his Victorian home. Kaiser friends Jackie Shade and Leslie Hojem, among many others, filled out her Kaiser family and provided love and joy to her throughout her Kaiser career. Mary retired after more than 30 years of service to Kaiser Permanente in 2013. She filled her retirement with friends, family, reading, and travel. She loved to volunteer and gave countless hours assisting her daughter, Nicole, with projects and fundraising for Camp Rosenbaum. Of particular importance were Mary’s 2018 trips to Wyoming and Yellowstone National Park to visit Nancy Stanker and a return trip to Maui, Hawaii with both daughters. Attending daughter Nicole’s September 2018 wedding in South Lake Tahoe, California was a source of immense joy and pride to Mary despite her diminishing health. Wherever Mary lived or worked she developed lifelong friendships which she nurtured and valued; even in her final days. She also enjoyed music and dancing, particularly to jazz, blues, and Motown music. Mary deeply enjoyed the loving and humor-filled relationships with her siblings who all live in the Pacific Northwest and provided her with great joy and support. Mary was preceded in death by parents Paul and Lucille Gorman. A private memorial service will be held April 6th with friends and family. Final arrangements are under the care of Omega Funeral & Cremation Service. In lieu of flowers, memorial donations may be given the Washington County Library, Multnomah County Library, or the White Helmets organization of Syria. The family of Mary Gorman wishes to thank the physicians and staff of the Radiation Oncology, Medical Oncology, and Hospice and Palliative Care Departments of Kaiser Permanente for their attentive and excellent care. As a former Kaiser employee and caregiver herself, Mary was endlessly proud of the quality of medical care and support she received during her illness.